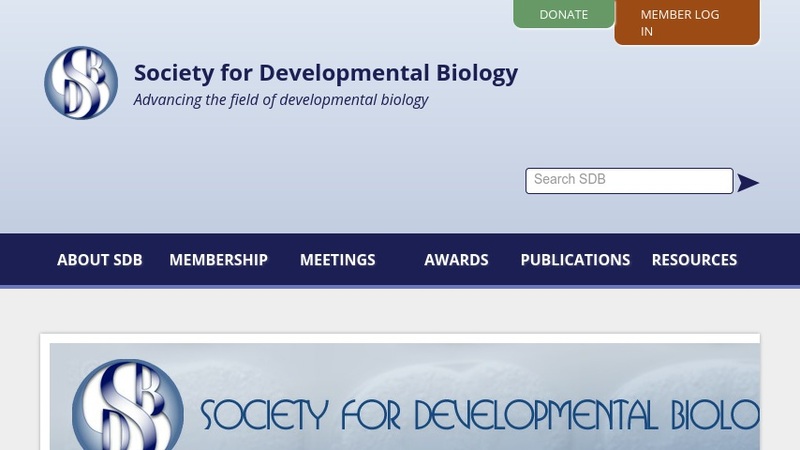 The Society for Developmental Biology (SDB) works "to further the study of development in all organisms and at all levels, to represent and promote communication among students of development, and to promote the field of developmental biology." The SDB website offers services for professional scientists and students alike. Biologists will appreciate the Job Openings section which lists funding opportunities as well as open faculty positions, technical and corporate positions, and postdoctoral positions. The site also contains links to the lab websites of many SDB members. For students, the website offers links to a range of different educational resources such as the Interactive Fly, A Cyberspace Guide to Drosophila Genes and Their Roles in Development (first reported on in the November 29, 1996 Scout Report). The website also offers information about annual and regional meetings, publications, and membership.